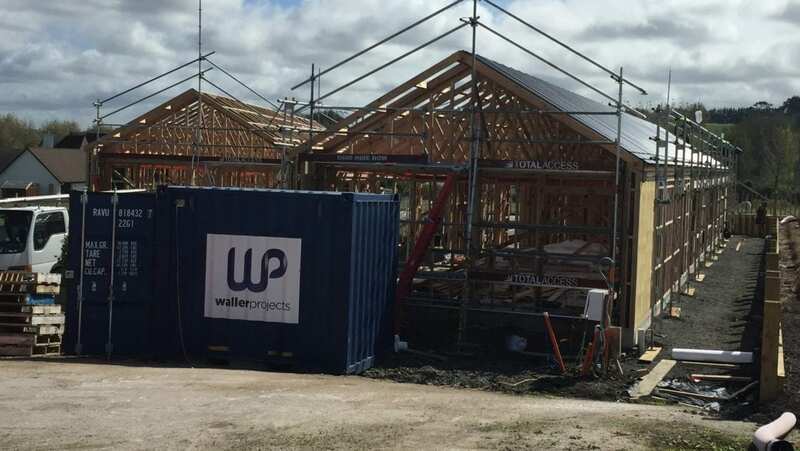 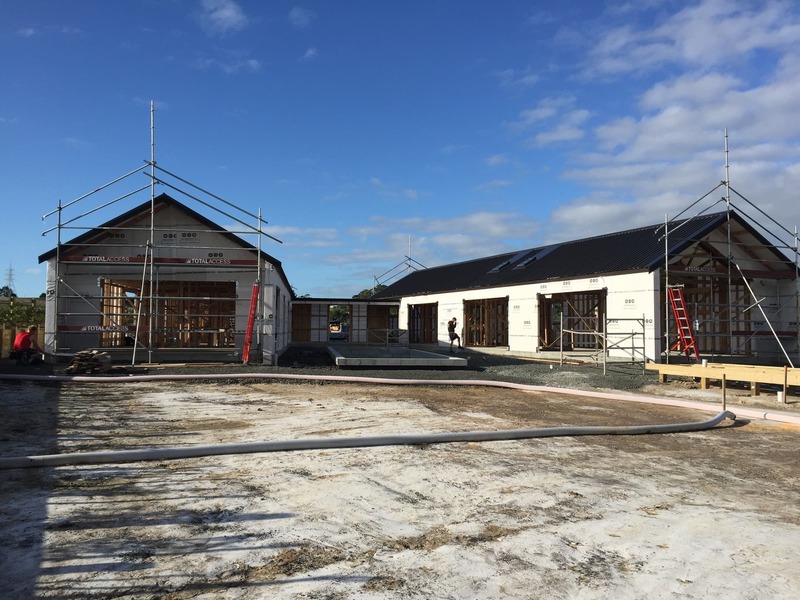 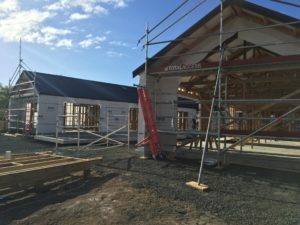 Situated in Dairy Flat is the latest design and build from Waller Projects ,the two simple barn style wings with exposed trusses and clad in Cedar are joined by a sleek foyer entrance with a flat roof . 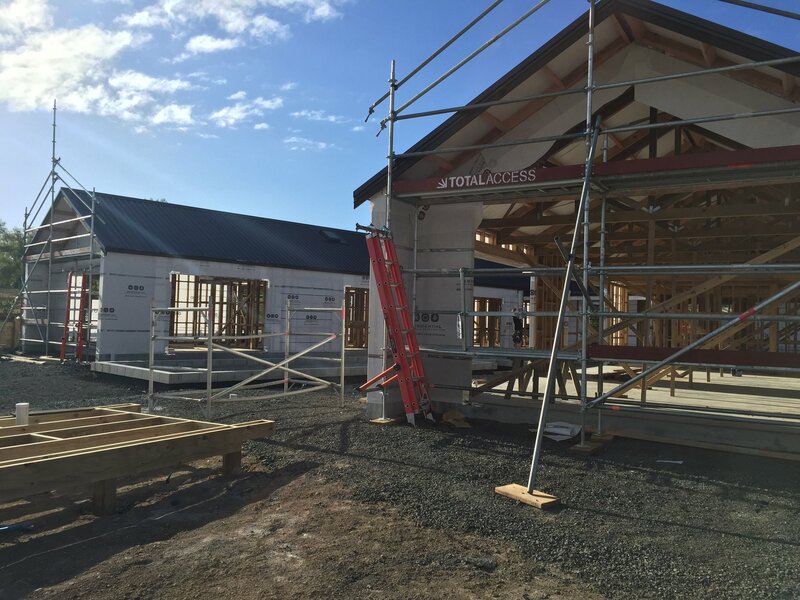 The devil is in the detail and in this case the cladding , the various depths of Herman Pacific vertical and horizontal weatherboards will create a very precise exterior. Current progress is the completion of the roof and commencement of the exterior cavity system ,interior design is in the final stage with Yellowfox Interiors and the owners are excited by the textures and finishes created .